Do you lie awake at night wondering if you’ll have any money left in your bank account at the end of the month? Do you fear you’ll never kill your debt for good? Do you look at your bank statement and wonder where on earth your money went? I know how you feel. These are feelings I’ve experienced first hand for years. I told myself that I wasn’t destined to be good with money so I should just enjoy life. The fact is I really I wasn’t enjoying life. I had grown numb to the gnawing feeling in the pit of my stomach that I was making one wrong decision after another. I told myself that “everyone” lived this way so why should I even criticize myself for making poor decisions? So, I just came to accept that debt would be a normal part of my life and do my best to keep my head above water. Thankfully, that’s not the end of the story. I’ve shared this many times before on the site, but it bears repeating. I graduated from college with roughly $50,000 in debt – and that was 20 years ago, so it would be nearly $75,000 today. It’d be one thing if that money all came from student loans. But it didn’t. I discovered credit cards in a big way when I stepped foot on campus. Little did I realize the offer of a free t-shirt or water bottle was a pittance in relation to what they were offering me – a blank check…or so I thought. Seeing my parents spend as they chose and with little regard to its impact on their budget, I followed the same path. I used those credit cards (four in fact; WAY too many for a college student) to finance a lifestyle I thought I wanted but couldn’t afford. Go on vacation? Sure; the credit card can do that! Go out for drinks with friends? Get to swiping! Have a bad week? That credit card is going to get a workout this week! So on the cycle went. When it became obvious the cards didn’t provide enough funds to feed my addiction to spending I moved on to the student loan money. In short, I was addicted to spending – I just didn’t know it at the time, and it was taking me down the drain fast. The situation I describe above was one of my own making. Regardless of the fact that my parents did very little to teach me about money, I ended up in the situation I did as an adult. I do not share it with you to get sympathy or to feel sorry for myself. I chose to spend every cent willingly and did nothing to educate myself on finances. Faced with the very real possibility of bankruptcy, I thought it was the easy way out. It took a roommate getting in my financial face to force me to take a real look at what I was doing and where it would take me. We all have a desire to belong. There’s nothing wrong with that at all; it’s human nature. However, I firmly believe that who we surround ourselves with can and does have a great impact on our actions, financially and otherwise. For myself, this meant I saw myself as a victim to my financial situation. I thought there was nothing I could do to improve my financial picture and that it was someone else’s fault I was in as deep as I was. I viewed money as something that had control over me and that I couldn’t learn how to manage it. My roommate challenged this view. He told me that I was not a victim and that I was in the situation of my choosing – and, you know what, he was absolutely right. Instead of viewing money as a tool to be leveraged to get where I wanted in life I viewed it as something that controlled me as its victim. Boy, was I wrong. So, how did I come back from the brink of bankruptcy and slowly begin down the path of financial freedom? It was two things – I sought help, and I began to educate myself. Establish a budget. I had no idea what a budget was, much less how to make a budget. Create a spending plan with that budget. Each dollar is a small tool to get you where you want she said, so we established a spending plan. Cut spending I had to learn that overspending in the present was robbing my future self. I had to stop that. Decide what I want in life. I had to admit that I was holding myself back and stop playing the victim card. It was then that I began the transformation of living differently; I refused to accept the false premise that “everyone” has debt so it should be fine that I do, as that would get me nowhere in life. You’ve heard the joke about excuses, right? They stink. I managed to come up with every excuse I could think of – from blaming my situation on my parents to being upset at the credit card companies. The problem with these, and any other excuses was one thing – I wasn’t taking responsibility for my decisions. I wasn’t taking responsibility for my actions. I wasn’t taking responsibility for my money. Nothing was going to change until I chose to take responsibility. What I needed was a good, long look at myself and my situation – without any excuses. As little as I wanted to do that, it showed me one important thing – that I needed change and without that change, I would continue to stay in the same situation. Yes, that means difficulty and change is rarely pleasant, but it’s vitally needed. Let’s face it; challenge is all around us. We can choose to conquer the challenge or come up with some sort of excuse that it’s impossible to overcome our predicament. As I learned years ago, and continue to learn today, giving into the excuse will take us nowhere. What’s needed to defeat these excuses is to find your why. Yes, you need to know how to attack the issue but without the why you set yourself up to sliding back into failure. If you’ve decided you want to be different and control your money, you need to grab hold of the why like a quarterback does a football and not let go until you reach the end zone. There’s one simple reason why I share this personal message with you today, April is Financial Literacy month. Financial literacy can mean a lot of things, but what it really comes down is knowing how to manage your money. That can range from knowing how to pay off debt to how much you should be saving for retirement and much more. In short, it means you understand how money works and you use it as a tool to better your life and that of those around you. I know what you may be thinking – that it’s too difficult to learn to manage your money effectively. I used to think that way. I used to think that it was impossible to understand different financial topics because I didn’t learn about them in school or wasn’t taught them by my parents. Here’s the thing. You don’t need to be an expert to manage your money. I know there are many things I’m not an expert at, and in those cases, I seek to learn what I can to be moderately proficient and then I take action – which really is key. Working with my hands is an example. I don’t know the first thing about working with tools. It’d be easy to throw up my hands and not do anything around the house. But, thanks to YouTube I can teach myself how to do something I’ve never believed I could do. Dealing with your money is the same way. There are many financial resources you can use to better manage your money – and many of them are free or incredibly cheap. Beyond that, the Internet is full of free information to help you manage your money; you just have to take advantage of it. If you feel overwhelmed at where to start, don’t use that as an excuse to give up. Instead, break it down into bite size chunks. Take one thing you want to work on and focus on just that until you get comfortable, then add another. The key is to take action. I know that’s often the most overwhelming thing to do, but once you do you’ll be amazed at how quickly you can build momentum. Looking back over the course of my financial life I can say it’s the act of not giving into excuses and taking action that changes things. You’ll want to procrastinate, but taking one step today guarantees one thing – that you’ll get to where you want that much quicker. What has been the key to achieving the kind of financial life you want? What’s a common excuse you deal with when you don’t want to work towards a goal? 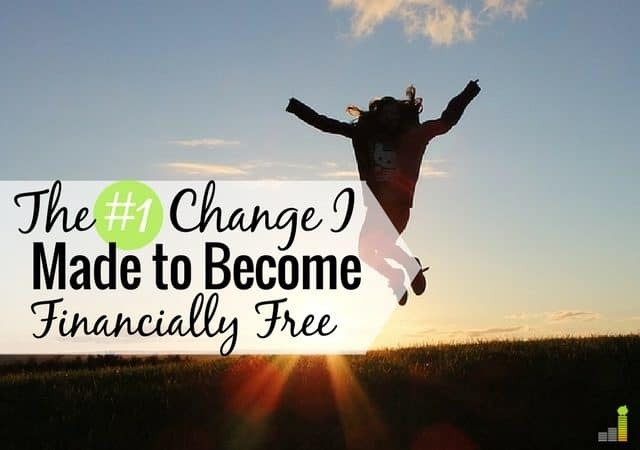 What’s one area you really want to learn about financially? I will definitely be sharing this! Great post. 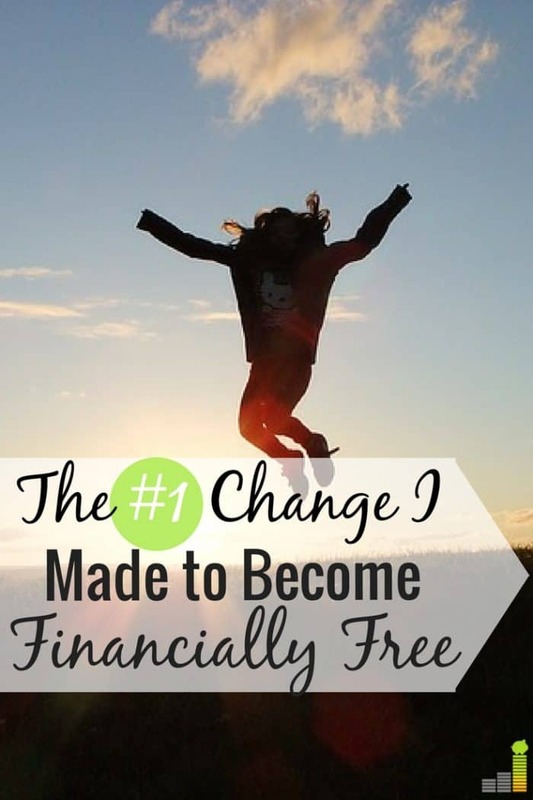 You really do have to decide to be different if you want to improve your finances. Thanks Rachel, I could not agree more! It’s really interesting just how much of an impact parents can have on their children’s money mindset, for better or for worse. I know it’s a had a big impact on how I view and approach money. Could not agree more DC. It has a huge impact and something I’m mindful of as a parent so we can do all we can to set them up for success later in life. Creating a budget in an excel sheet has become a new favorite hobby of mine! I love organizing everything into the boxes and seeing how much I’m saving over time.